Not only are hummingbirds some of the smallest creatures on earth, but they are also some of the most colorful. With this All-Natural Songbird Essentials Red Hummingbird Nectar, you can turn your yard or garden into a hummingbird haven that will be buzzing with these beautiful birds all summer long. 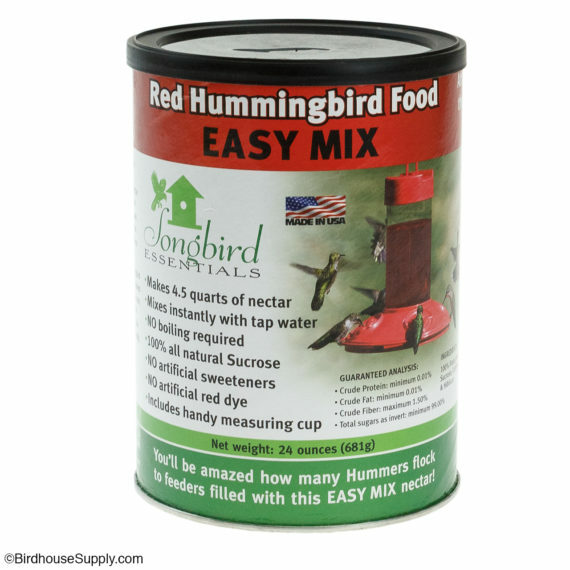 Simply add water to this powdered nectar to make up to 4 ½ quarts of liquid nectar for use in your favorite Songbird Essentials hummingbird feeder. This powder mixes easily with regular tap water – no boiling required – and it is guaranteed to be free from artificial dyes and sweeteners. 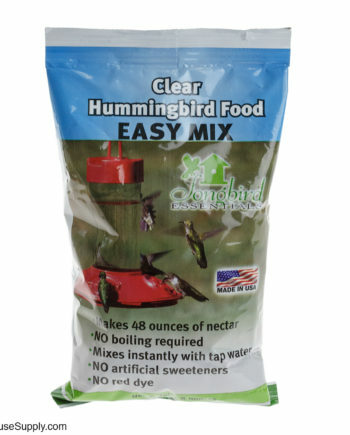 Your backyard birds deserve the best, and with this All-Natural Songbird Essentials Red Hummingbird Nectar, they can have it. Width: 5.5 in. / 14 cm. Height: 4 in. / 10.2 cm. Weight: 1.50 lbs. / 0.68 kg. Songbird Essentials pride themselves in providing patented products that are highly specialized for attracting birds to yards across America. 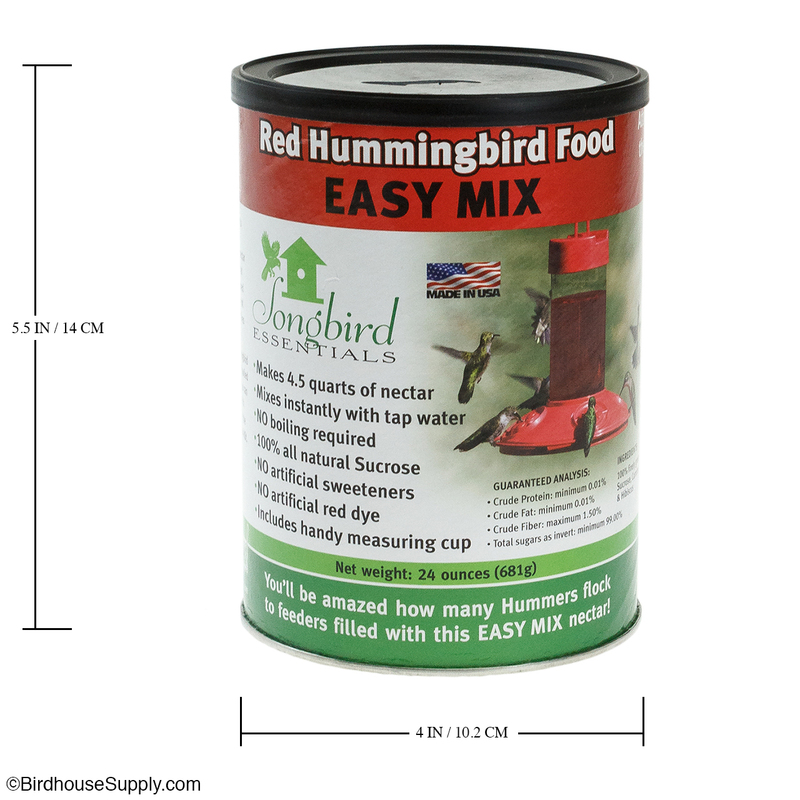 Whichever songbird you like best, Songbird Essentials probably has a bird feeder or accessory for you. The company won numerous awards over the years. 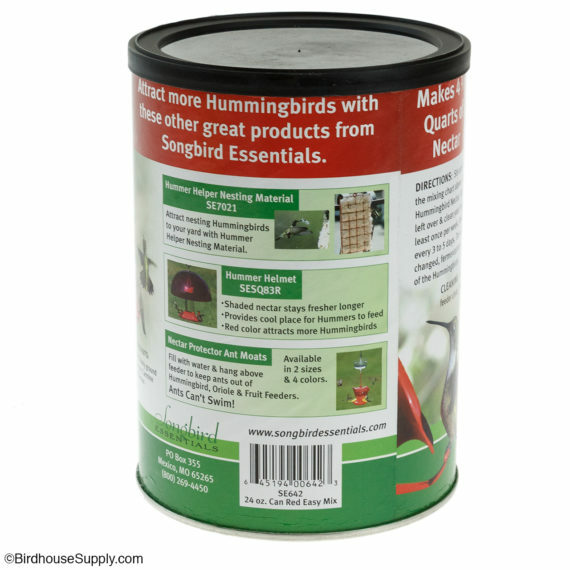 Bird Watch America and Lawn & Garden Distributing Show have both honored Songbird Essentials for the Twirl-A-Squirrel squirrel baffles. It is a unique bird feeder accessory that helps protect your feeder from squirrels. 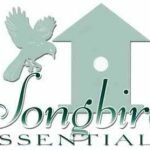 Songbird Essentials is based in Mexico, Missouri (we know it’s a little confusing) and completely family owned and operated. Owned by Mel and Bev Toeller, it is the fastest growing company producing wild bird related products in North america.